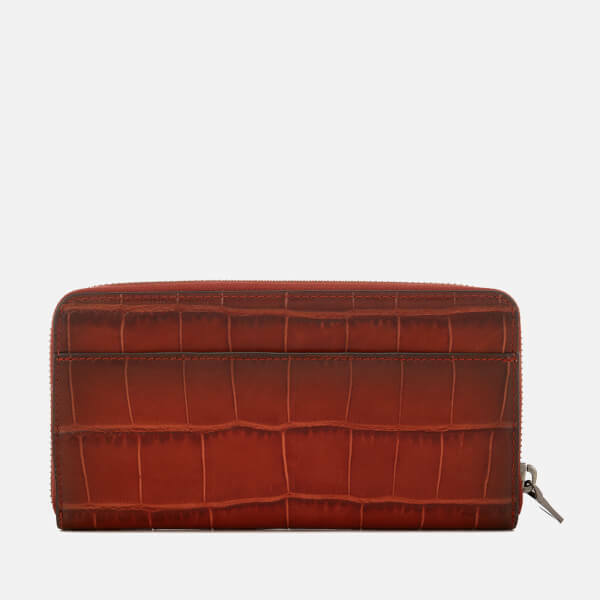 Accordion wallet in croc-embossed leather from Coach. 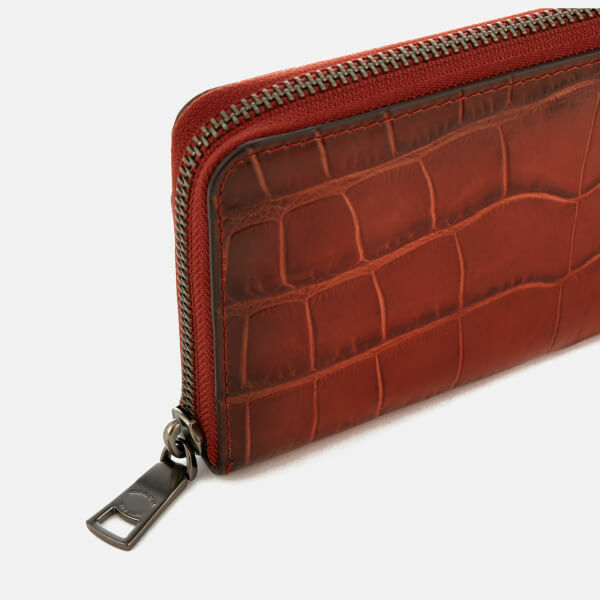 Closed with a zip-around fasten, the wallet’s interior is aptly sized to fit a standard smartphone and offers 12 card slots, multiple slip pockets and full-length bill compartments. 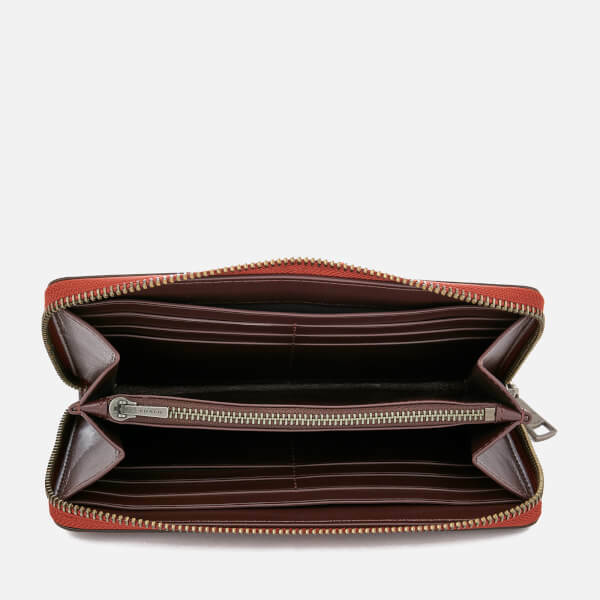 A central zipped pouch provides storage space for loose change. 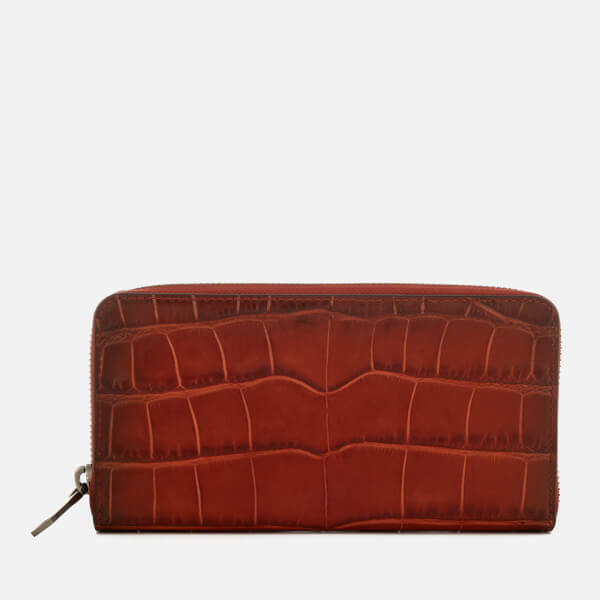 Features an external open pocket to the reverse. Detailed with silver-tone hardware engraved with Coach branding.